Our 16" 5R Upper Assembly offers enjoyable Mid Range Varmint Hunting or Target Practice. 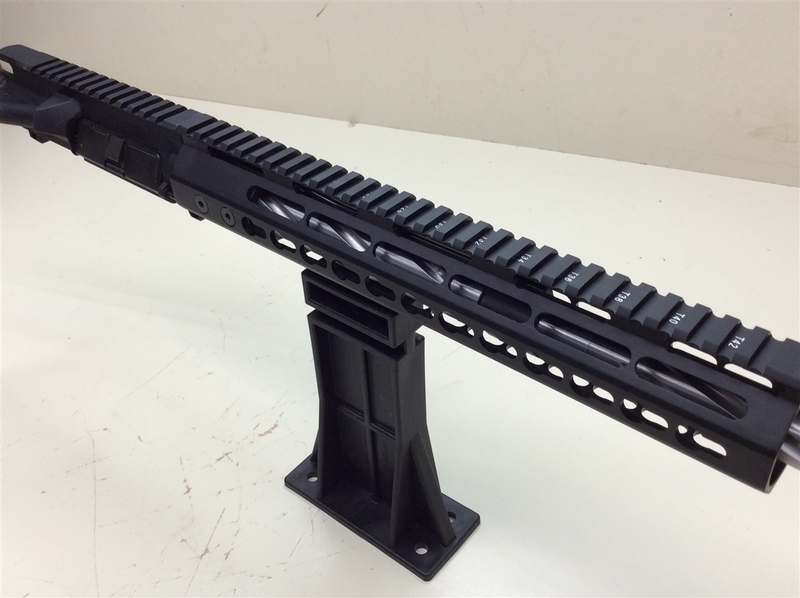 The 16" 5R Upper Assembly offers a Light Weight, Maneuverable compliment to your Lower assembly. 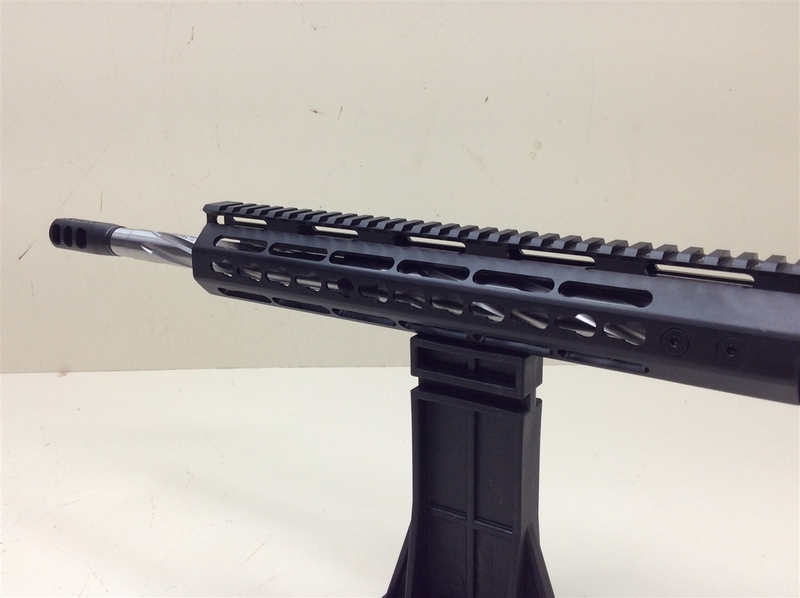 The 16" 5R Stainless Steel Spiral Fluted Barrel with a Competition Muzzle Brake makes it a real joy to Shoot. The 5R barrel machining creates Less Bullet Distortion, Greater Velocity and Increased Accuracy. 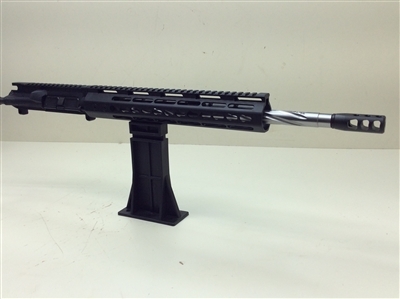 All Upper Assemblies are Torqued to Mil-Spec, Head Space Checked and Test Fired Before they are shipped. .
Bolt Carrier group and Charge Handle can be added if needed. All Barrels are Drilled, Reamer and Rifled on CNC Machines. Barrels are then Heat Treated, Stress Relieved and Trued. 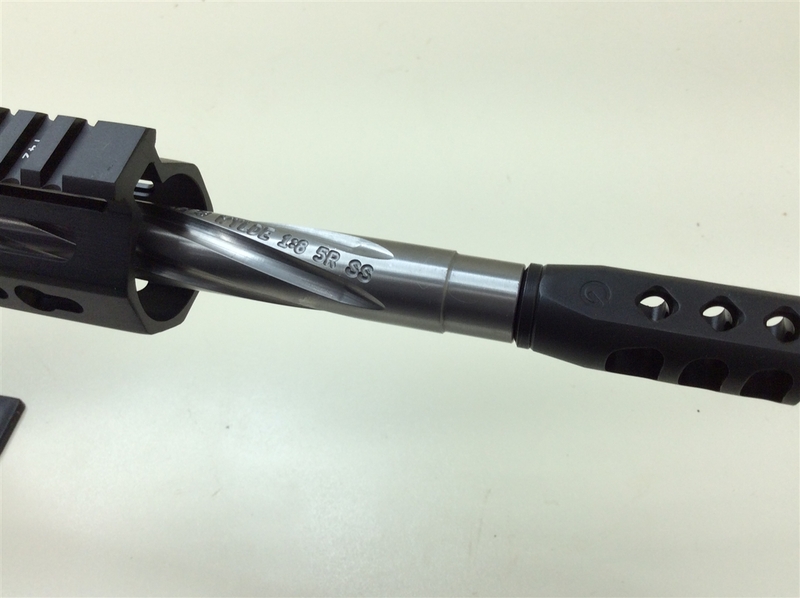 All Barrels are Quality Inspected using CMMs and Precision Air Gauged. © Copyright 20165 www.patriotarmsandsupply.com. All Rights Reserved.